Based on a potential attach rate of less than one percent of total iPhone users, Piper Jaffray analyst Gene Munster said in a research note published Tuesday he believes Apple could see total Apple Watch sales hit one million units over the weekend starting April 24. The huge number includes both preorders and launch sales, though it is not yet clear if Apple will have stock on hand to sell to walk-in customers. Munster's logic banks on loyal customers who are anxious to get their orders in on April 10. Further, the analyst expects Apple to sell some 300,000 units in the first 24 hours of availability, equating to an 8 percent attach rate on iPhone 6 and 6 Plus preorders. Compared to Apple's recent iPhone 6 and 6 Plus device debut, Apple Watch sales may see a boost following initial release as the company sends out product to partner resellers. As Apple Watch supply is thought to be limited, Munster doesn't expect to see these channel fill benefits at launch. Looking forward, Munster estimates Apple will sell 8 million Apple Watches over the course of 2015, which would tack on roughly $4.4 billion to company revenue. As production ramps up, Apple Watch sales could reach 40 to 50 million units by 2017, accounting for 10 percent of Apple's projected revenue that year. 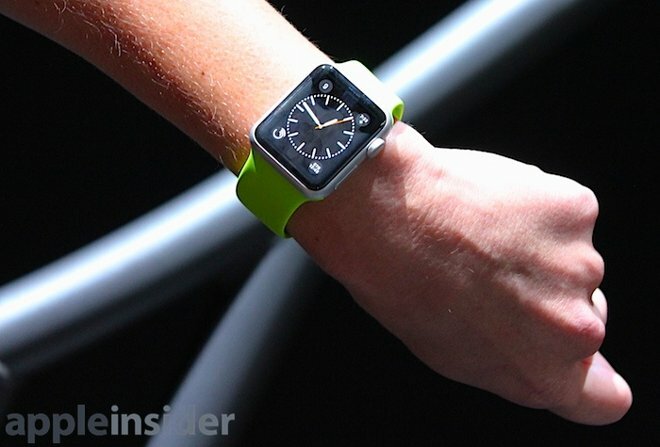 Assuming that volume, 8 to 10 percent of iPhone owners will have purchased Apple Watch. Preorders for Apple Watch are set to go live on April 10, the same day Apple Stores and pop-up shops around the world will preview the device to interested customers. Sales start two weeks later on April 24.